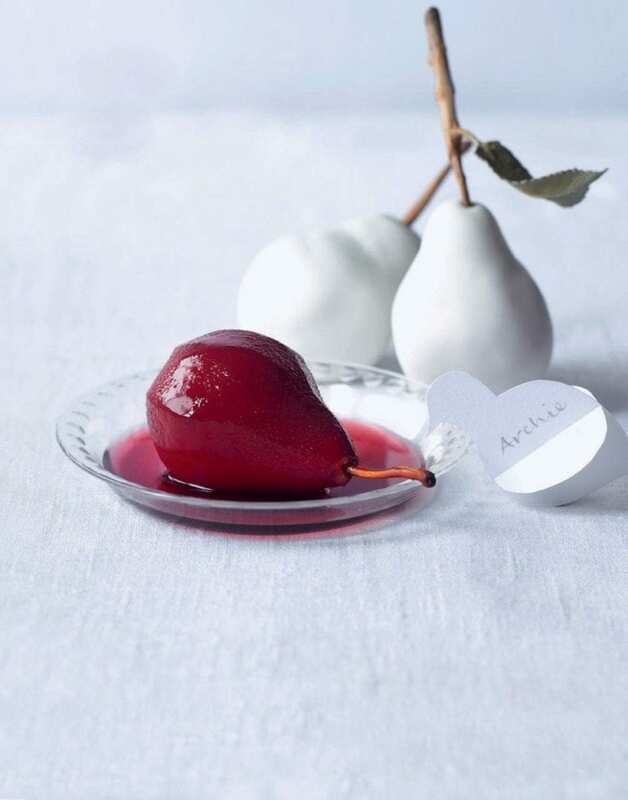 This delicious poached pear recipe makes the perfect light but decadent end to a meal. Pour the wine and 600ml water into a pan. Add all the other ingredients, apart from the pears, put over a low heat, then stir until the sugar has dissolved. Bring to the boil, then simmer for 5 minutes. Remove from the heat and leave to infuse for 15 minutes. Return the pan to the heat, then add the pears. Bring to a gentle simmer and submerge the pears in the liquid for 35-40 minutes, turning occasionally, until just cooked and ruby red. Remove to a bowl and set aside to cool. Bring the poaching liquid back to the boil and reduce by half (to about 500ml) until slightly syrupy. Cool a little before pouring over the pears. Cool completely before serving.